Cusp of Normal: Ho Ho Ho! 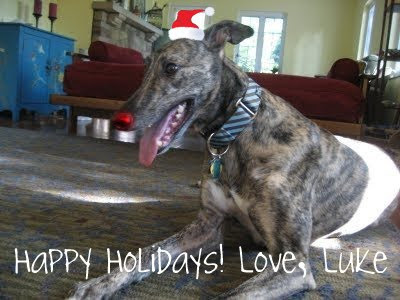 Happy holidays, Luke! I hope you get lots of dog toys. That are not owl shaped. aw! Luke is adorable. I hope you all had a wonderful holiday! Hope you and your sweet family had an excellent Christmas! Can't to wait to hear your latest updates!